Let’s say you need to ship a car. Maybe it’s for work or maybe you’re relocating your family, or maybe you’re selling or buying a classic car. It doesn’t matter why you’re looking for an auto transport company to get your car to its ultimate destination. The steps you’ll take in your search for a shipper will be the same. You’ll fire up Google. You’ll find some car shipping companies that seem reputable. Then you’ll pick one and book your shipment. But wait! In between googling and booking, there’s more you’ll have to do. Just by looking at a website, it can be hard to tell how auto transport companies operate or if they’re going to deliver on their promises. 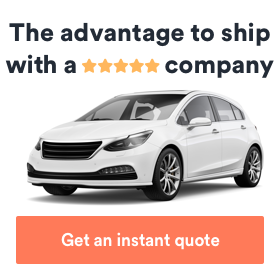 Car shipping companies have made it so easy to get online car shipping quotes that a lot of customers find a low price and book without digging any deeper. That’s a big mistake, and one that can have costly consequences. You wouldn’t choose a mechanic, a car dealership, or even a car without asking questions first, so why would you choose a company to ship your car without finding out more about why they’re the best choice? We firmly believe that customers need to ask questions before booking, which is why we’ve compiled a list of the top 19 questions that you should ask auto transport companies before you book. 1 1. Are you a broker, a carrier, or an auto transport management company? 2 2. What services do you offer? 3 3. Are there any restrictions on what types of vehicles you can ship? 4 4. Can you give me a free quote? 5 5. How much will my shipment cost? 6 6. Does this price include everything or will there be additional costs? 7 7. How do you calculate your rates? 8 8. What payment options are available? 9 9. Is the auto transport company registered and licensed? 10 10. Is your company fully insured? What does your policy cover? Can I see proof of insurance? 11 11. Why are you the best company to book with? 12 12. How will my car actually be transported? 13 13. What are my options when it comes to the timing of my shipment? 14 14. Do you have customer support? 15 15. What are my choices for drop-off and pickup locations? 16 16. How do I prepare my vehicle for shipping? 17 17. Can you transport non-running vehicles? 18 18. What documents will I need to ship my car? 19 19. Do I need to be present for pickup and delivery? 1. Are you a broker, a carrier, or an auto transport management company? Here’s a quick breakdown of what those terms mean and why it matters. Brokers find carriers and schedule shipments — prioritizing customers. Carriers own the trucks, and ship and deliver the cars — prioritizing the shipment. 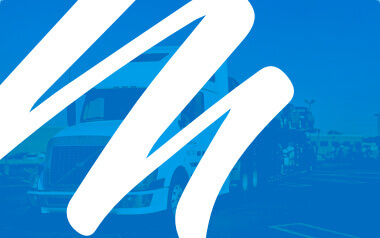 An auto transport management company, such as Montway, serves customers from end to end, serving as a single point of contact from quote to delivery. When problems arise, an auto transport management company will solve them faster because these companies don’t just care for cars. They care for customers, too. At first, this seems like a silly question. An auto transport company will transport cars and trucks, right? But here’s the thing — there are lots of auto transport options customers can choose from. Some companies ship via open-air trailer exclusively, while others offer enclosed trailer shipping, as well. There are multi-vehicle and single-vehicle shipping options. Do you need to ship a car that has been in an accident? Some companies are equipped to ship non-working cars while others only work with operational vehicles. Then there are shippers that can coordinate long-distance shipments by boat, train, or even plane. 3. Are there any restrictions on what types of vehicles you can ship? Most customers shipping a car, van, SUV, or light truck won’t have any problems finding an auto transport company. But if the vehicle you want to ship is exceptionally valuable (like a race car or an antique car), oversized or heavily modified, or totaled after an accident, special equipment may be necessary to ship it. Not all car shipping companies have specialized towing and loading equipment, so if there’s anything unusual about the vehicle you want to ship, make sure to ask if the company can handle it safely before you book. 4. Can you give me a free quote? Getting a quote from an auto transport company should never mean that you’re under the obligation to use that company. Most shippers know that you’ll be getting quotes from other companies and are okay with that. A deposit should not be required to get a quote, so if a car shipping company will only give you a quote if you make some kind of commitment, move on. As we mention above, many companies now have online calculators that will give you a free estimate, but you’ll often get a more accurate quote by talking directly with a representative. 5. How much will my shipment cost? When you speak to an auto transport company representative directly, your quote will be more accurate because you’ll be able to explain any special needs or requests you have. Make sure you have as much information about your vehicle and your shipment available when you call so the rep can give you an accurate quote. 6. Does this price include everything or will there be additional costs? Make sure you double check before you book that the quote you receive is what you’ll pay. You can ask for an itemized list of what the quoted price covers and make it clear that you’d like to know now about any charges, fees, or additional costs that might not be included in the quote. That way, in the unlikely event that you are charged more, you can check your invoice against the itemized service agreement you received before you booked. 7. How do you calculate your rates? The quote you receive will not be arbitrary. The cost to ship a car is calculated using a number of factors, including the make and model of the vehicle, the distance it will be shipped, your drop-off and pickup locations, the shipping method you’ve selected, any special handling requests, whether the vehicle runs, demand, seasonal price fluctuations, and the price of gasoline. Generally, shipping a car in an enclosed trailer will cost more than shipping a car on an open carrier. If you’re shipping a vehicle between states, you may pay more than if you’re shipping it within state boundaries. International car shipping will always be more expensive due to tariffs and fees. And it typically costs more to ship larger vehicles like vans or trucks. Ask what payment methods they accept, but don’t stop there. Many auto transport companies ask customers to pay a deposit or partial payment when a shipment is scheduled or before they drop off their vehicle. It’s less usual for a reputable car shipping company to ask for payment in full before a vehicle is shipped. Be sure you know how the company you’re talking to operates when it comes to payment, so you’re not surprised by a bill that comes due before you have received your shipment. 9. Is the auto transport company registered and licensed? It’s not that hard to find out whether auto transport companies are registered and licensed, but it’s nice to hear it directly from a representative. Auto transport companies that move cars and trucks across state lines are required to have a USDOT Number by the Federal Motor Carrier Safety Administration. International car shippers additionally have to have a license issued by the Federal Maritime Commission. Once you have a company’s USDOT number, you can look up a company’s operating status, safety record, and other registration numbers here. 10. Is your company fully insured? What does your policy cover? Can I see proof of insurance? All reputable car shipping companies will be fully insured — it’s the law! The best companies have enough coverage to respond to any issues or emergencies that may arise. You can and should ask specific questions: What are the company’s standard shipping insurance options? Can I buy additional insurance? Should the worst happen, will your entire car be covered or just certain parts? Will there be a deductible you have to pay? Auto transport companies have to carry a valid insurance certificate, so they should be able to show it to you when you ask to see it. Read it and your contract carefully! 11. Why are you the best company to book with? It’s a tough question, but the representative’s answer (and the speed of their answer) will give you a good idea of what the company culture looks like. Ideally, you’re looking for an auto transport company that values customers and has a solid track record of getting cars and trucks where they need to go in a safe and timely fashion. Are you getting the sense that you’re asking too many questions or that your rep is frustrated by your questions? That’s often a huge red flag. 12. How will my car actually be transported? You’ve already chosen your shipping method, but it’s nice to know what your car or truck’s journey will look like. What is the loading procedure? Will you need to help? Will the truck make stops along the way? Will your car be left alone for a long period? What happens at delivery? 13. What are my options when it comes to the timing of my shipment? First, if you need your car to ship on or around a certain date and/or to arrive on or around a certain date, make sure the person you are talking to knows that. Expedited car shipping, or guaranteed pickup, is possible, though it’s more expensive. An auto transport company may be able to offer you several time frame options at different costs. 14. Do you have customer support? Chances are that once your vehicle is on the road, you won’t need frequent updates. Unless, that is, you’re shipping an especially valuable vehicle or you’re shipping your car or truck on a tight schedule. Small brokers and carriers are usually unavailable after hours, which can be inconvenient or even stress-inducing. One of the reasons many people choose larger, nationwide auto transport management companies is that they enjoy the peace of mind of knowing they can get updates while vehicles are en route. 15. What are my choices for drop-off and pickup locations? You shouldn’t have to take a road trip just to pick up your car at its destination. Larger auto transport companies will usually have the most drop-off and pickup locations available, but you should always double check that these hubs are convenient for you. Door-to-door service is often available, though it tends to cost more. When you opt for door-to-door service, the driver will deliver your vehicle directly to your home (or office) instead of dropping your car off at a terminal. 16. How do I prepare my vehicle for shipping? The answer you’ll receive on the phone will probably be: empty it, clean it, and have another set of keys made if you only have one. However, there are more steps that need to be taken. Check out this post for more information about what empty and clean mean in this context, and what else you’ll need to do to prepare your vehicle for its journey. 17. Can you transport non-running vehicles? Since the bulk of car shipping involves vehicles riding on or in a truck, you might think this question is irrelevant. Problems arise, however, when customers trying to ship non-running cars and trucks don’t mention that the vehicle doesn’t run and so drivers show up without the equipment necessary to load those vehicles onto trailers. If you need to ship a non-running vehicle, make sure you clarify whether it can roll, brake, and steer. Many auto transport companies can handle non-working vehicles as long as they can do these things. Fewer are equipped to transport cars that can’t move at all or be moved safely without a forklift or other specialized equipment. 18. What documents will I need to ship my car? Most of the time, you’ll only need to provide your registration and insurance documentation plus a photo ID. Some auto transport companies will also require you to show the title. That’s for domestic shipments. If you’re shipping a car internationally, there will be other requirements set by the country that will receive your vehicle. If you don’t understand what the requirements are, you risk a situation where your car can’t be released from the port at its destination. 19. Do I need to be present for pickup and delivery? Most auto transport companies will require that an adult be present at both pickup and delivery because someone will need to hand over and then accept the keys and sign off on the paperwork (most often the inspection report and the bill of lading). However, that someone doesn’t have to be you. Typically, you can choose a friend, colleague, neighbor, or relative to be your designated agent at pickup and delivery if you’re unable to be there yourself. Make sure that the company you’re talking to allows this. There’s a lot to think about when it comes to choosing an auto transport company, but asking a lot of questions can make the process easier. We’ve also put together a guide to choosing an auto transport company that may help you make your final decision, and you can find more information about how cars and trucks are shipped in our help center.